I was really struck by frailty and fleshiness of the figures. 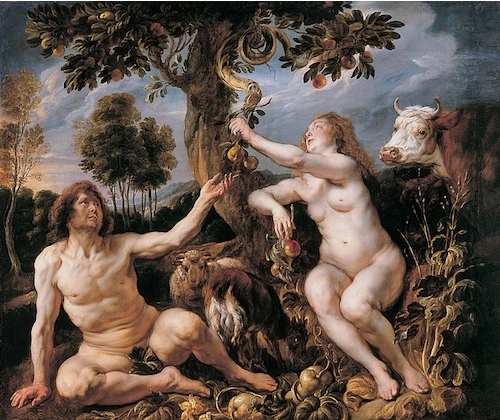 Given the C17th taste for larger women, it’s not surprising that Eve doesn’t look like something from Cranach. But Adam looks positively middle-aged. In fact, even though he’s still reaching towards the apple, he looks fallen. And I think it makes for a surprisingly touching image.